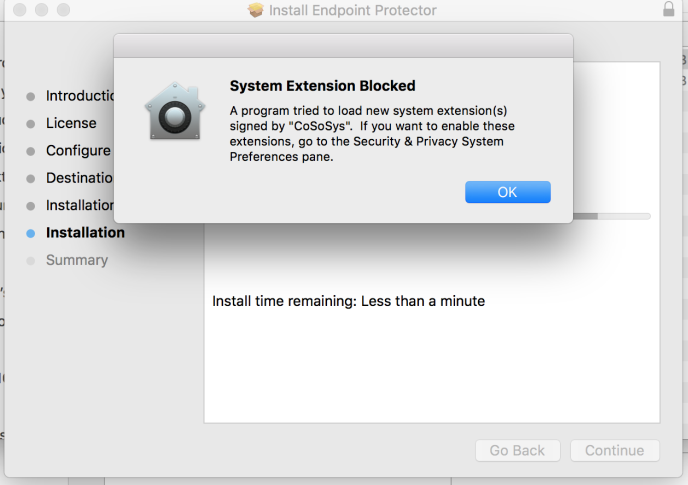 Why do I get the System Extension Blocked notification on macOS 10.13 (High Sierra)? Below you can explore issues related to My Endpoint Protector and find the advice you need. For any other additional questions, suggestions, improvements requests or if you simply want to report a problem, please contact the support team. Among the features introduced in the recent macOS High Sierra, there are also changes to the Kernel Extensions (KEXT) that are not signed by Apple. Third-party KEXT are no longer automatically installed and require user approval before loading. 1. 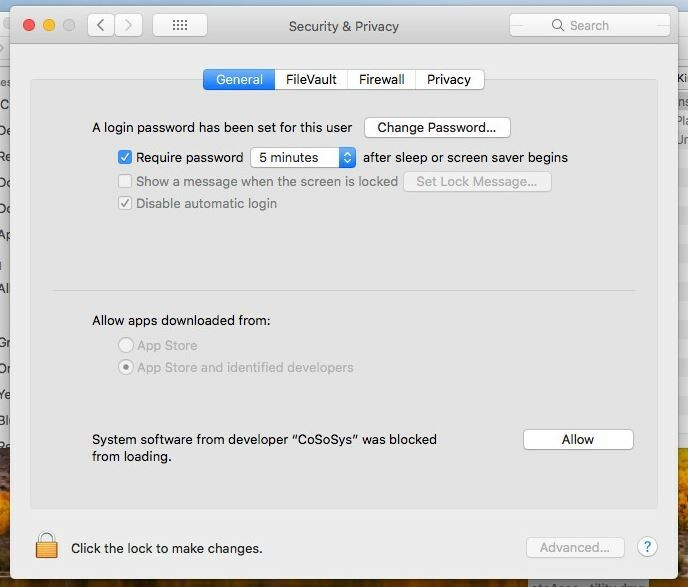 Go to the System Preferences and select Security & Privacy. 2. Select the General tab and click the Lock icon on the bottom left to allow changes. 3. Click the Allow button next to the prompt System software from developer “CoSoSys” was blocked from loading. 4. In some circumstances, the OS will also prompt for a restart. In case the issue persists, please contact Support.